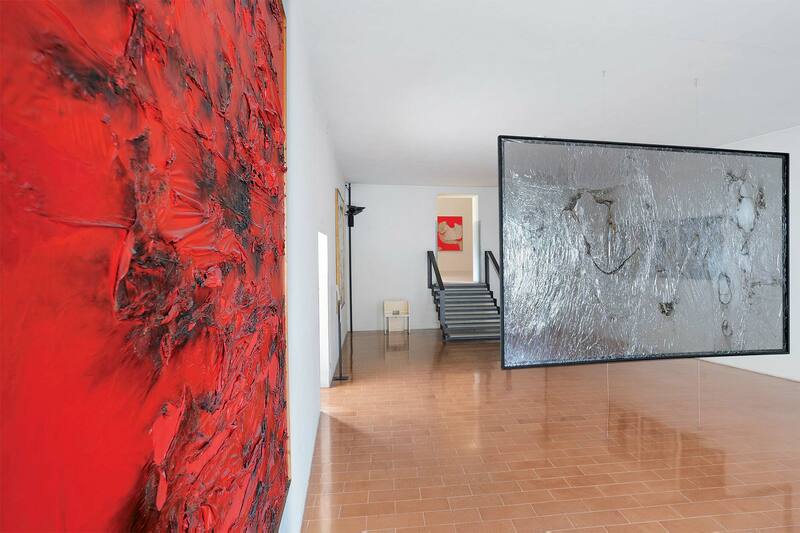 The Palazzo Albizzini “Collezione Burri” Foundation was created in 1978 by Alberto Burri himself with a first donation of thirty-two works. Its members are people from the Città di Castello Council, the Cassa di Risparmio di Città di Castello, the Associazione per la Tutela dei Monumenti dell'Alta Valle del Tevere and “La Sapienza” University of Rome. It has been recognised by a decree of the President of the “Giunta Regionale dell'Umbria”, Umbria’s Regional Council. The museum was named after the exposition building itself. 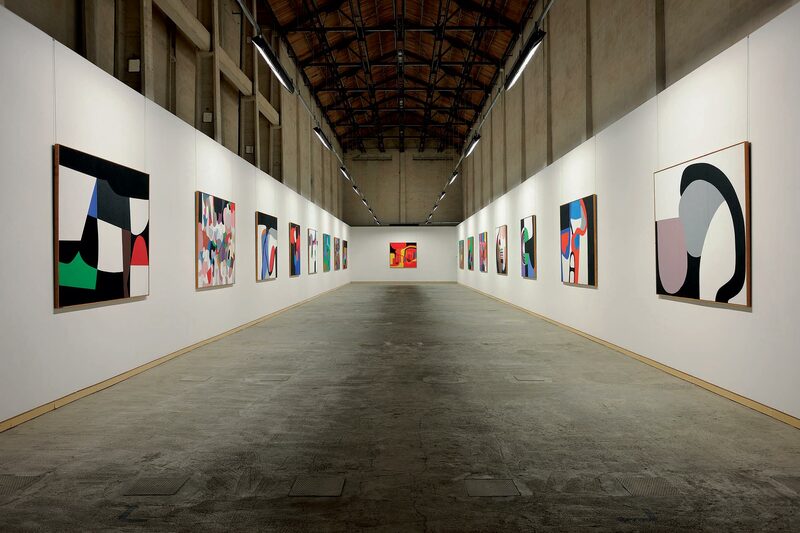 The Collection found at Palazzo Albizzini was opened to the public in December 1981 and it includes about a hundred and thirty works completed between 1948 and 1989, chronologically exposed and occupying twenty rooms. 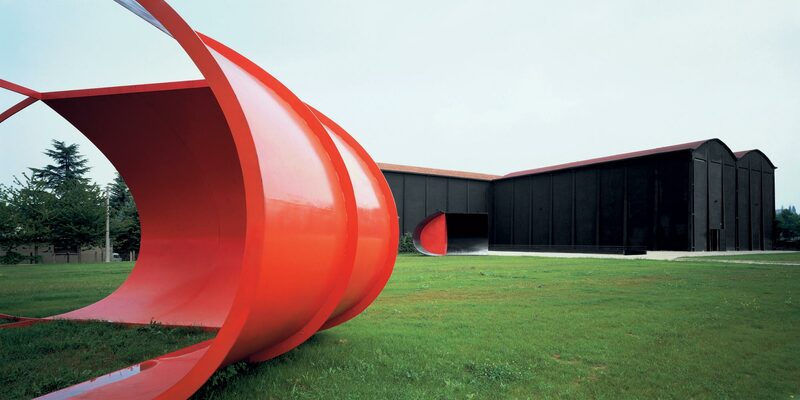 Together with the other site, Ex Seccatoi del Tabacco (The Old Tobacco Dryhouses) which opened in July 1990 containing 128 works completed between 1970 and 1993, it is the most exhaustive collection on the artist, with high quality works selected by the painter himself. The Foundation also has: a library, replete with information on modern and contemporary art (accessible to students and scholars following a written request), a photographic archive containing all documentation regarding the works of Alberto Burri and the archive, containing a comprehensive bibliography on the artist. The Foundation periodically organises conferences on ancient, modern and contemporary art and conventions with up to date information on contemporary art. This is done with the cooperation of renowned national and international parallel institutes which cooperate directly or indirectly in the publication of catalogues on the artists’ exhibitions. The Foundation published catalogues and pamphlets on the Collection. They edited the “Burri - Contributi al Catalogo Sistematico” (1990). Faithful to the line of conduct declared in its statute, the institution aims to maintain and preserve the artist’s permanent exhibition and to promote research on the art of the Master and his historical context. For these reasons the institution manages the opening of the two collections to the public, organises yearly conferences on contemporary art cooperating with vorious institutions, as (among others) Brera’s Picture-gallery, the Uffizi gallery, the Tate Gallery of London, The Accademy of France, The University of Paris, the IRRSAE. 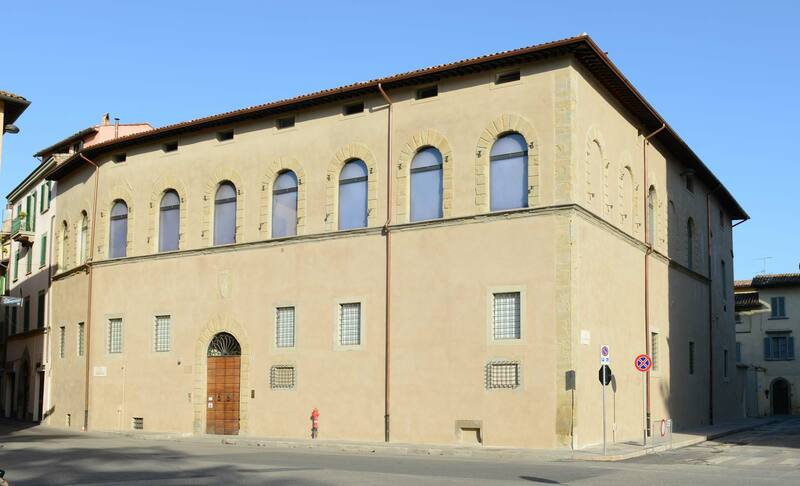 The foundation’s duties include the management and participation in exhibitions of international importance by lending works and collaborating with other national and international institutions such as: Rivoli Castle, L. Pecci Center for contemporary art of Prato, the Fondazione Fontana of Milan, Museion Museum of Modern Art of Bolzano, M.A.R.T. Modern and Contemporary Art Museum of Trento and Rovereto, The National Modern Art Gallery in Rome, Palazzo delle Esposizioni in Rome, Biennale of Venice, Städtische Galerie im Lenbachhaus in Munich, Palais des Beaux Arts in Brussels, the Pompidou Center in Paris, the Italian Cultural Institutes, the Solomon R. Guggenheim Museum in New York, etc.